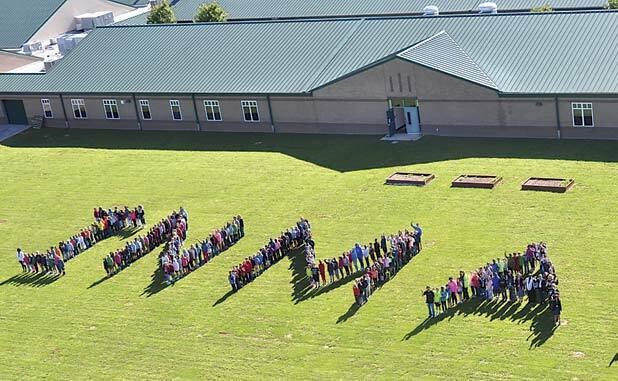 In a file photo from 2015, students line up to spell out the name of their school in Inman, south of Fayetteville. 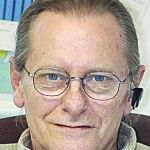 A long-range demographic study performed for the Fayette County Board of Education shows public schools experiencing incremental student population increases, adding 1,258 students by 2029 with a system enrollment totaling 21,231 students. Performed by Education Planners LLC, the study provided an enrollment forecast for the next 5-10 years. One of the aspects of the study included K-12 enrollment from 1995 to date and projections through 2029. The figures did not include pre-K students. There are currently more than 300 students enrolled in pre-K classes. Enrollment in grades K-12 for the current school year sits at 19,973 students. The school system in 1995 had 15,897 students enrolled. Enrollment figures climbed to 22,242 in 2007, then began to drop off with the effects of the Great Recession. The decrease continued until 2018 when the school system had 19,777 students enrolled. The total enrollment forecast for the next 10 years shows incremental increases in student population, with 2029 showing 21,231 students, an increase of 1,258 students over the next decade. The study also provided an enrollment projection breakdown based on numbers for elementary, middle and high schools. Enrollment projections for grades K-5 are expected to increase from the current 8,099 students to 8,657 in 2029, an increase of 558 students. Middle school enrollment is projected to increase from 4,788 students today to 5,202 students in 2029, an increase of 414. For high schools, the current 7,086 population is expected to increase to 7,372 students by 2029, adding 286 to the high school population. Fayette County’s total population in 2015 was estimated at 110,975. The population is expected to increase to 143,255 by 2040. Sources for the study included sources such as the Georgia Department of Education, Atlanta Regional Commission, Governor’s Office of Planning and Budget, Georgia Department of Public Health. U.S. Census Bureau, Fayette County School System, Fayette County Planning and Zoning and data provided by the county’s municipalities.